What does travel mean to you? During the Southwest King County Chamber of Commerce Luncheon to support National Travel and Tourism Week, Seattle Southside business associated stood up and showed what travel means to them. This celebration of tourism is an annual tradition that was established by a congressional resolution in 1983 and first celebrated the following year. This nationwide week of events serves to champion the power of our industry. A wide cross section of travel and tourism professionals work throughout the week to promote the impactful contributions their travel markets and organizations make to the U.S. economy. 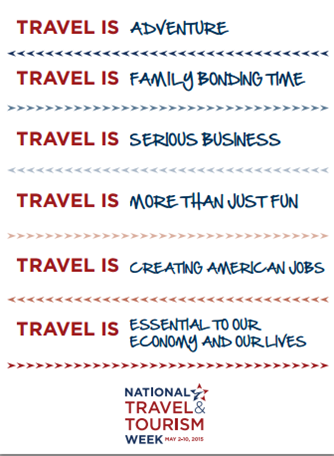 This year&apos;s theme was chosen to reflect the wide-ranging and robust ways that the U.S. travel industry contributes to the fabric of America. It is designed for destinations and organizations to customize the message to best fit their individual markets.